I have started reading this book that I recently purchased without much thought. I bought it because it was a Kindle Deal and because it's about two of my favorite people, J.R.R. Tolkien and C.S. Lewis. 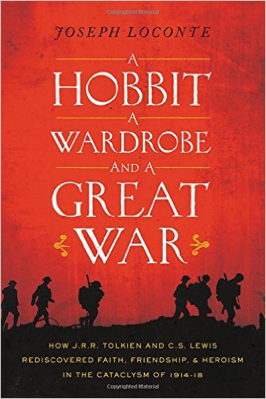 Only now did I realise what the title is - a hobbit and a wardrobe...ahhh. I know, I know. It's there in huge typeset. But that's the thing, I don't really notice stuff that are too obvious.